Nothing quite like an incredible breakfast to start of your day – am I right? Whether you’re one of those who likes a huge greasy fry-up, or if you enjoy a light bit of porridge or oats – it doesn’t really matter. All that matters is that you’ve thoroughly got the best start of the morning that you possibly could, and you’re full and ready to tackle the world. Well, looks like Morrisons has been thinking about this, and has brought out a GIANT breakfast sandwich which is bound to set off your WEEK to the best possible outcome it could be. After all, if you started your Monday with this, can you not immediately feel it getting a million times better? And all for a fiver. Absolutely buzzing. Morrison’s aren’t the only ones stepping up their food game the last few weeks, as a lot of company’s have made the most of the fact that everyone eats their body weight in food when the colder weather comes in. One of those, is Iceland’s current offering – Mince Pie Ice Creams. Yep. For four ice cream cones, they currently retail at £1.50 and can be bought from Iceland stores. Merry NOVEMBERMAS, everyone! It seems last month was the time for announcing exciting new products for stores, as Lidl also jumped on the festive themed hype and revealed an exciting new edition to their frozen section. Popular opinion: Yorkshire puddings are absolutely bloody delicious. You can have them on the side of your roast dinners, or in the new fashion you can have it as a wrap filled with all the delicious goodies the supermarket has to offer. 2018 has really upped the Yorkshire pudding game, what with the introduction of stalls that sell wraps that you can ‘make your own’, either with gravy or without – but one problem would be that if you don’t live somewhere that makes these delectable treats then you’re not likely to be able to join in on the fun. However, Lidl has heard the prayers of those who don’t have access to these wraps, and has brought out a supermarket box version where you can eat your very own at home. What a bloody lifesaver. 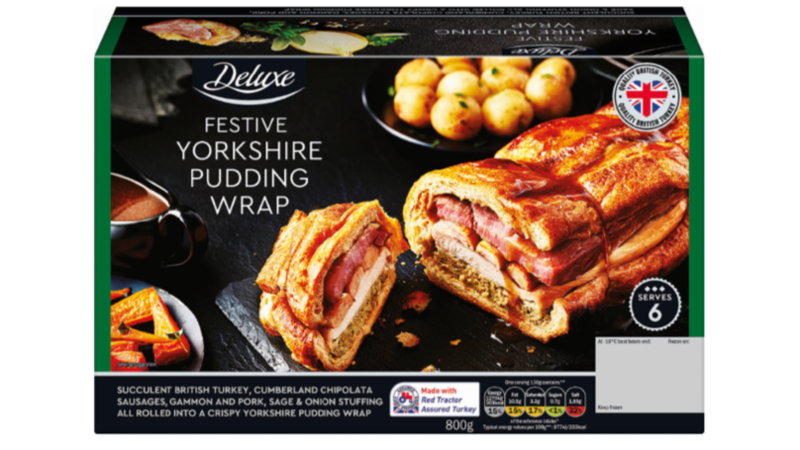 Lidl’s wrap contains British turkey, Cumberland chipolata sausages, gammon, pork and sage and onion stuffing all wrapped up in one giant pudding. Oh, and it’s only £7.99, which may seem steep to some people but let’s be honest – can you really put a price on true happiness? It’s not just Lidl that’s sorting you out this festive season, as Marks and Spencers are just absolutely killing it in the food game at the moment, and when I tell you all about their latest offering you’re going to completely agree with me. They’re known for bringing out some of the tastiest (albeit slightly pricier) treats in the nation, but they’ve truly outdone themselves with this latest sweet treat. Cookie lovers, I think you’re going to absolutely love this. 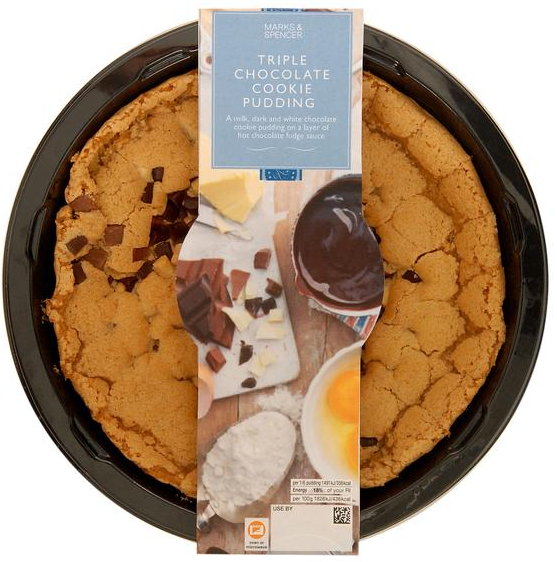 The supermarket retailer has just announced the release of their triple chocolate cooking pudding, and guess what – it’s GIANT, and it’s only £4. No seriously, how good does that look? It’s perfect for satisfying all your sweet treat cravings. It’s a milk, dark and white chocolate cookie pudding on a layer of hot chocolate fudge sauce. I’ll pause while you stop yourself from drooling, but I did forget to mention that you can also eat the cookie pudding hot or cold. The product description claims that: “It’s gooey on the inside and crunchy on top and is packed with chocolate chips.” Sweet baby Jesus. M&S aren’t just killing it in the cookie department, however. Another popular opinion: caramel shortbread biscuits are quite possibly one of the most more-ish, delectable treats that has ever graced the planet, second to cookies, obviously. I don’t know about you, but I can easily polish off one of those Thorntons packs in about an hour, and yes I’m not ashamed, after all they’re DELICIOUS. 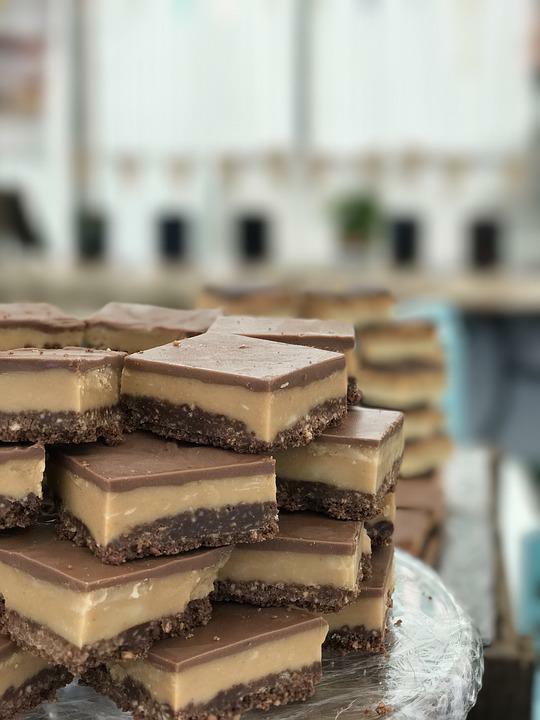 They’re just so creamy and the caramel is the perfect level of soft, but then you have the slight crunch of the biscuit and the chocolate at the bottom that you end up with one decadent sweet treat. Ugh, I’m practically salivating just thinking about them. While we all know that the biscuit itself is pretty damn tasty, have you ever wondered what it would taste like as an alcoholic beverage? Think Baileys, but most likely smoother and creamier and instead of it tasting like Irish cream, it tastes like caramel shortcake. 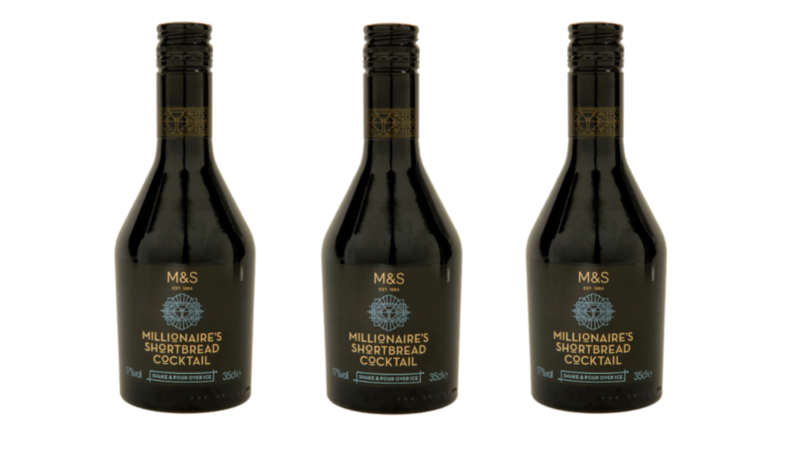 Right, now that you’ve got that picture in your head, allow me to tell you that Marks and Spencer has officially made it a reality with their latest alcoholic offering. The 35cl bottle will only set you back £8, making it the perfect stocking filler for adults. I don’t know about you, but I’m about ready to run on down to M&S and go and buy out the entire stock, just to make sure I’ve got more than enough when it comes to Christmas. If you’re also looking for exciting treats in the run up to the festive season, then I can officially confirm that Aldi is back at it again with a game-changer of a mince pie – salted caramel. Can I get a “HELL YES”?! The popular pies were first released last year, and everyone went mad for the tasty treat. There’s an annoying caveat though. Last year, a pack of six was £1.69 and this year they’ve gone up to £1.99. Sacrilege. They’re available in-store as of November 1. If you’re in the mood for more Christmas cheer, you may also be interested in this festive gin. While there’s always time for gin, there’s something seasonal about sitting by a roaring fire and having a sip of Mother’s Ruin. As the nights get colder and your parents start rummaging for Advocaat in the back of the drinks cabinet, we think you should suggest Christmas pudding gin instead. Pink gin, parma violet gin, and even unicorn gin (no unicorns were harmed in the making of this), but what about bottling all the cheer of Christmas? Firebox is behind the genius invention with a limited edition batch of Christmas pudding flavour Unicorn Tears Gin. Available to pre-order for £19.99, purveyors of pudding can pick up 20cl of this Christmas concoction to put under the tree or place in their own drinks globe. The site asks gin guzzlers to think of “warming dried fruit, drizzled with cinnamon, cloves, sugar and treacle.” If you aren’t already licking your lips in anticipation, you should be. To make Christmas pudding gin that little bit more special, it’s even infused with shimmering silver powder to add to the unicorn magic. Gin advent calendars seem to be all the rage at the moment, but it’s not quite the same as opening those little doors and eating the chocolate inside. Also, we don’t recommend drinking a tiny bottle of gin before your morning commute. If you really want to combine Xmas and the gin craze, Christmas pudding gin is the way forward. No longer is gin saved for the elderly or drinking when there’s nothing left in the house and then seriously regretting it. As all these fancy gin bars pop up and charge you £10 for a double with a twig poking out of it, Christmas pudding gin is bound to start doing the rounds as winter sets it. If anyone think that Christmas pudding gin is a little too out there, bear in mind that gin made from ants is a real thing and so is turkey gin for 25 December. Why not swap between turkey gin and Christmas pudding gin around the table? You could leave Firebox’s Christmas pudding gin out for Santa as an alternative for sherry, but we’d suggest saving it for yourself. Say goodbye to Gordon’s and bin the Bombay, Christmas pudding gin is here to stay!